The United States is a rapidly diversifying country with ethnic minorities comprising over a quarter of the US population. By the year 2050, over half of the United States will be ethnic minority, underscoring the importance of better understanding race relations and willingness to date intra- and inter-racially. Data from 2,123 online dating profiles were randomly collected from four racial groups (Asian, Black, Latino, and White). Results indicated that willingness to date intra-racially was generally high and that willingness to date inter-racially was lower and influenced by racial social status. 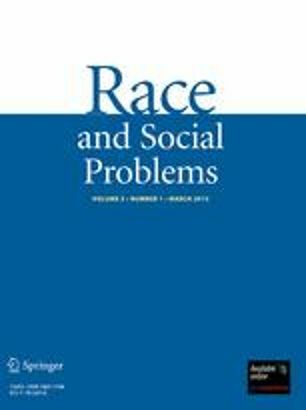 Because men evidenced an overall high willingness to date inter-racially, women’s willingness to out-date provided a more accurate depiction of racial social status and exchange. Women of higher racial status groups were less willing than those from lower status groups to outdate. Results are explored and discussed in relation to different theories of interpersonal attraction and dating. This manuscript was partially supported by the National Institute of Mental Health (NIMH) grant 1R34MH73545-01A2 and the Asian American Center on Disparities Research (NIMH grant: 1P50MH073511-01A2). Hitsch, G. J., Hortascsu, A., & Ariely, D. (2006). What makes you click? Mate preferences and matching outcomes in online. MIT Sloan Research No. 4603-06. Retrieved March 19, 2010, from http://ssrn.com/abstract=895442. Kreider, R. M., & Simmons, T. (2003). Marital status: 2000. Retrieved March 19, 2010, from http://www.census.gov/prod/2003pubs/c2kbr-30.pdf. Lofquist, D., Lugaila, T., O’Connell, M., & Feliz, S. (2012). Households and families: 2010. Retrieved April 25, 2012, from http://www.census.gov/prod/cen2010/briefs/c2010br-14.pdf. Simmons, T., & O’Connell, M. (2003). Married-couple and unmarried-partner households: 2000. Retrieved March 19, 2010, from http://www.census.gov/prod/2003pubs/censr-5.pdf.